Johnson's Baby Wash - 500 ml | Multicolour | Keep baby skin soft and moisturized. Safe for regular use, this top-to-toe baby wash is a must for your angel's regular bath routine. 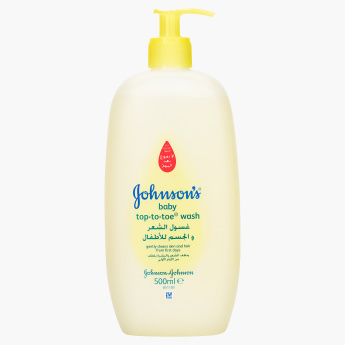 It is hypoallergenic and is clinically proven for its soft and moisturised effect on your baby's skin. Feature 1 : Keep baby skin soft and moisturized.